Every year, right around the holiday season, my friends ask me, "What classics should I read that I haven't already read or pretended to read in high school?" I guess because I am an English teacher and a self-proclaimed book nerd, I always am being asked for book recommendations. If people ask me about classics, I will respond with the following list. I'm sure some may think I am leaving out an essential book or two, but this is just my opinion. The following list is in random order. 1. The Hobbit by J.R.R. Tolkien (or The Lord of the Rings series)- If you love fantasy, you must read this book. Plus, there is a moving coming out in 2012 based on The Hobbit, which means it is going to gain even more popularity. 2. 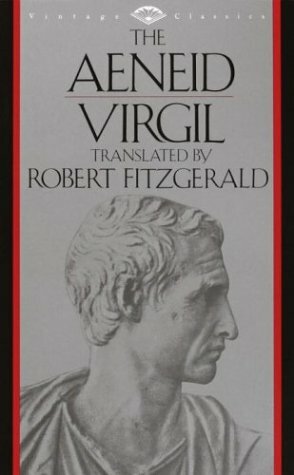 The Aeneid by Virgil- Many claim that this epic poem is a masterpiece. Even T.S. Eliot agreed by saying it is "the classic of all Europe." 3. The Odyssey by Homer- I student taught this classic and would love to teach it again. Who doesn't love all the mythological creatures in it and Odysseus' incredible journey? 4. Little Women by Louisa May Alcott- This is a book that I would love to re-visit this holiday season. One word that describes this book: heartwarming. 5. Romeo and Juliet by William Shakespeare- I like most of Shakespeare's plays, but this tragedy is one is my favorites. 6. A Christmas Carol by Charles Dickens- This timeless tale is still popular today. It is hands down my favorite holiday story. 7. 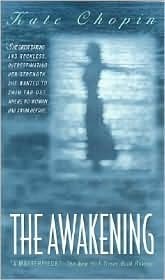 The Awakening by Kate Chopin- Many consider this controversial novel as a foundation for feminism. Need I say more? 8. To Kill a Mockingbird by Harper Lee- Everyone knows my love for TKAM. 9. Persuasion by Jane Austen- I feel like this novel gets overlooked a lot, but I think it is just as good as Pride and Prejudice, which leads me to number ten. 10. Pride and Prejudice by Jane Austen- If I could have a literary boyfriend, Mr. Darcy would be it. In fact, I have a shirt that says Mr. Darcy is my boyfriend. Nerd alert. 11. The Sun Also Rises by Ernest Hemingway- This tale is one of my favorites and many say it truly captures the Lost Generation. It's no secret that I adore Hemingway's writing style. 12. A Tree Grows in Brooklyn by Betty Smith- I read this book in high school and thought it was ok, but then revisited it as an adult and fell in love with it. I love this coming-of-age tale. 13. The Count of Monte Cristo by Alexandre Dumas- Many say this tale is one of "obsession and revenge" and for me, it's the perfect story. 14. The Great Gatsby by F. Scott Fitzgerald- Who doesn't love the Jazz Age? I believe there is a Great Gatsby movie coming out soon with a lot of great actors already signed up, such as Leonardo DiCaprio, Tobey Maguire and Carey Mulligan. I'm happy, because a good movie always reignites an interest in old an classic. 15. Jane Eyre by Charlotte Bronte- Jane is one of my favorite heroines and I think this book will become even more popular, because of the movie coming out in 2011. What are your "must read" classics? I hope you get to read or revisit some of these classics this holiday season! I read A Christmas Carol last year and loved it. Great post - I enjoyed reading your list of classic recommendations. I'm a huge fan of 'Persuasion' too and I do think that it gets overlooked by some of Austen's better known novels. But I'm always telling people to read it too! No, Dickens though? I'd have to include 'Great Expectations' as it's one of my favourite classics and at least one book by Emile Zola who I'm a big fan of. Oh, and probably 'Madame Bovary' too. 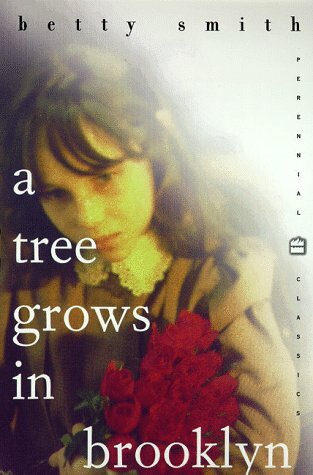 I love the novel and try to re-read it every couple of years. To Kill a Mockingbird and The Great Gatsby are ones I really enjoyed in school. Not a fan of Romeo & Juliet though. I've read Jane Eyre but it's not one of my favorites. One of my favorites is actually Wuthering Heights because of how shallow, messed up, selfish, and miserable they all are. I found it pretty tragic. I also enjoyed Crime and Punishment. I want to read Brothers Karamazov as well, but I haven't had the time to. The Awakening sounds pretty great.I'll definitely have to read some classics during my two weeks off. I agree with some, would like to see others on this list (like Hamlet. I love it waaay better than R & J). That's the beauty with classics--There's so much room for personal choice! But I'm most interested, I confess, to hear that this is a seasonal thing. Why do you suppose people ask from classic recommendations around this time of year? Hi, I'm currently following your blog and have just added your button to my site! If you were to have a glance at my blog and follow me (if you wish to) it would make me really happy! My must-read classic is definitely Wuthering Heights. It's one of my all time favourite books! I must read A tree grows in Brooklyn. It's not a book that's on any school/college reading lists over here, but I've read lots of good things about it. I enjoyed The Awakening too. It's a good read! JuJu- It's the perfect holiday read! SJH- Thank you! I completely agree about Persuasion. I included A Christmas Carol and was considering including Great Expectations. Good call with Madame Bovary though. Adriana- Wuthering Heights--good call. I completely forgot about that one. Mrs D.- Hamlet! Yes, one of my favs too. I included it in the "Honorable Mentions" but ultimately went with R&J b/c I am such a sucker for it. Pussreboots- Excellent list! Thanks for stopping by! I love Wizard of Oz, too! Enbrethiliel - Good question. It seems everyone likes to revisits classics at the holiday season. Perhaps nostalgia? ComaCalm- Thanks for visiting and putting my button on your blog. I appreciate that. I'll be over to visit your blog! Leanna- Wuthering Heights- completely forgot about this one! Oops! I am not a huge fan, so I'd probably pick The Scarlet Letter before that one, but it is a great classic! Fantasy- Excellent list. I forgot about Alice in Wonderland.....fantastic classic! Thanks for stopping by! I am too ashamed to declare which of your must read classics that I haven't read. I'll have to think about which books would make my list. Really interesting post Christina!